VOICE FROM CHINA: QUARTERLY UPDATE ON THE M&A MARKET IN CHINA – Outbound cross-border M&A activity in China has seen a stark change in volume due to capital outflow regulations implemented in early 2017. On the bright side, China’s Belt and Road (B&R) Initiative is expected to support investors interested in acquiring businesses in countries that are part of this project, shifting the main focus of Chinese outbound M&A transactions from Europe/USA to Asia/Eastern Europe/Middle East. 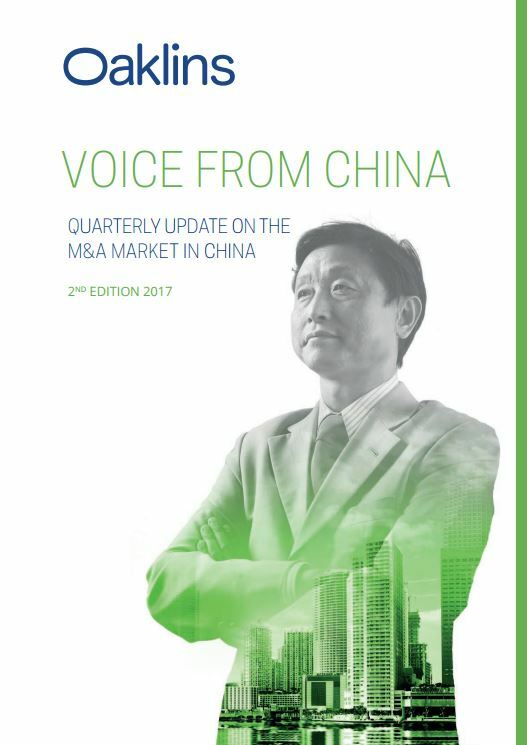 In the second edition of Voice from China, our local Oaklins specialists John Zhang and Iris Lu talk about regulations affecting China’s cross-border M&A, recent M&A transactions and acquisitive Chinese buyers.